We are proud to announce that we will be part of the very first Día de los Muertos festival in Arlington. 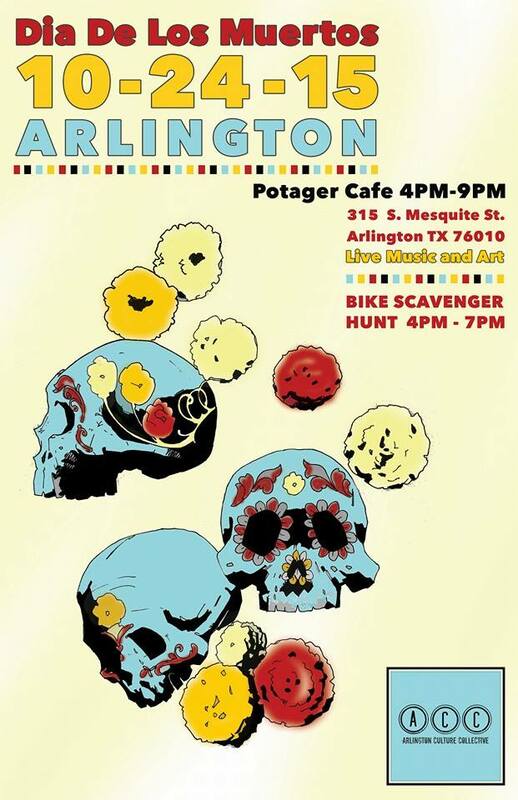 Día de los Muertos Arlington is a free community festival on Saturday, October 24 from 2:00 -7 p.m. at Mavericks Bar and Grill. We invite all residents and visitors to help us celebrate Día de los Muertos! Our booth will be indoors, where we will be vending a few handmade items. Please come show your support, relax and hang out. We truly love greeting new faces, so don't miss out.